USB drives are undoubtedly the perfect way to transport files between two computers. They are also more secure and faster than cloud data transfer. 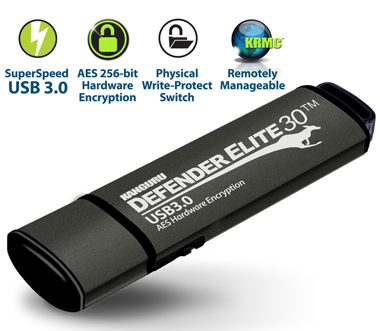 But if you want protect your USB drive and files from malicious access, you will need something powerful. Scanning the USB drive with antivirus programs cannot provide you the best protection. More clearly, antivirus programs are not really an option. 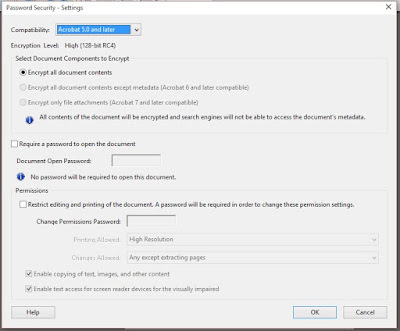 You can set passwords for every types of files..... including images, videos, documents and executables. 3. Select the files you want to protect. 4. Right click on the selected files and then select "Add to archive". 7. Enter the password and click on the "OK" button. Then click "OK" again to create the password protected archive file. 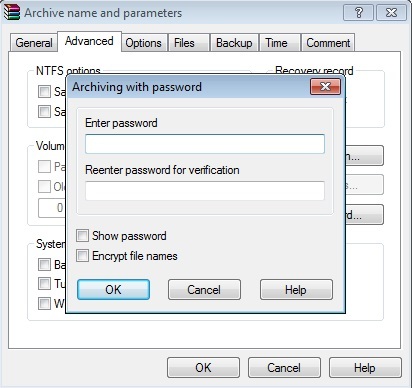 Whenever you want to access those files, open the archive file by giving the correct password and then extract it. 8. 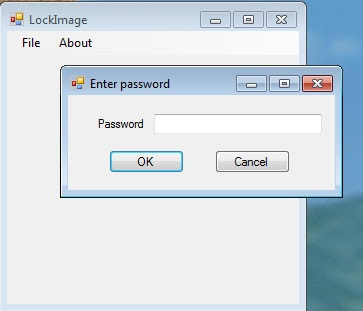 Type a password for your image file and click on "OK". Enter the password and click "OK". Note: The problem with the above method is you cannot modify or use the protected file. You can only view it..
1. Download the GreenForce Media Player. 4. 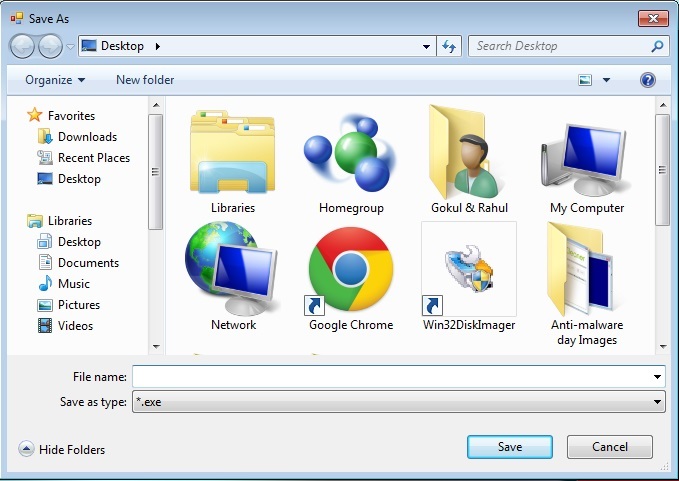 Select the media you want to protect and then select the destination folder. 6. 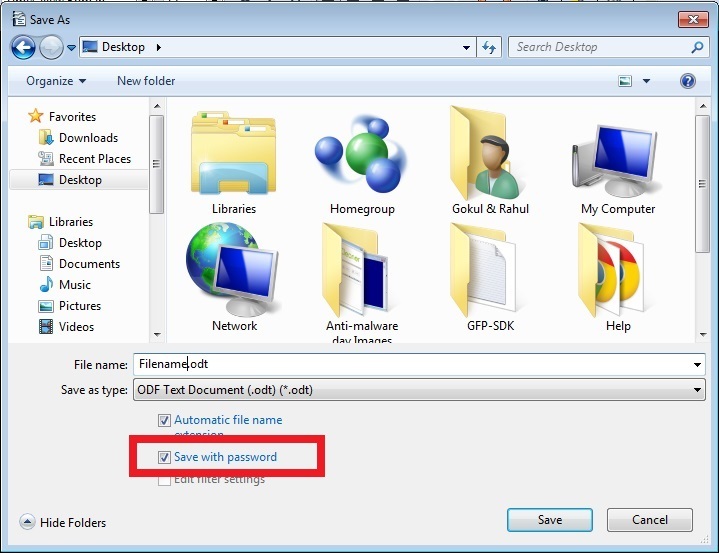 Enter a password for the file.....and click on the "Save" button. 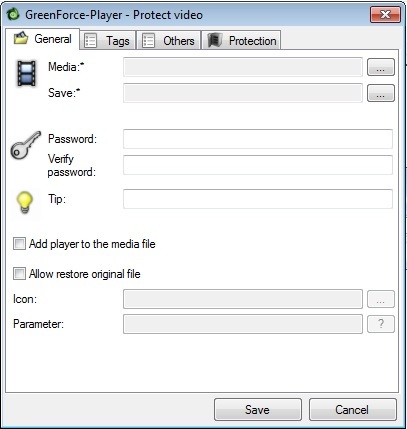 The video file will be saved in gfp format (GreenForce Media Player format). 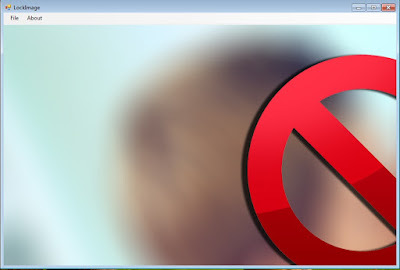 You cannot play gfp files using other media players. To overcome this limit, you can do a simple thing before saving the file. That is, just select "Add player to the media file". 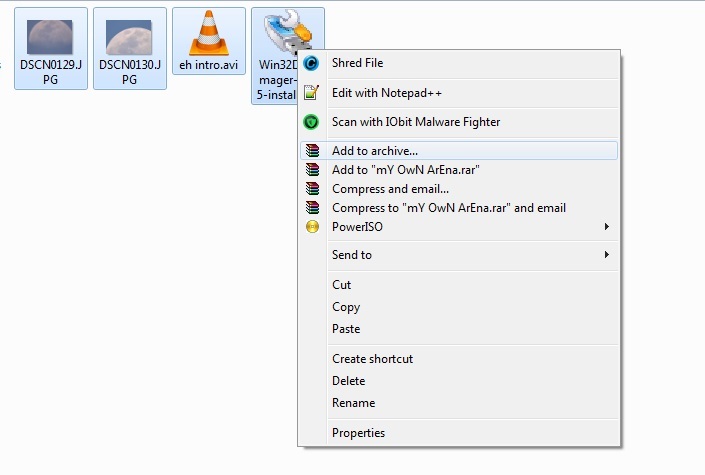 This will convert the video file into an executable file. 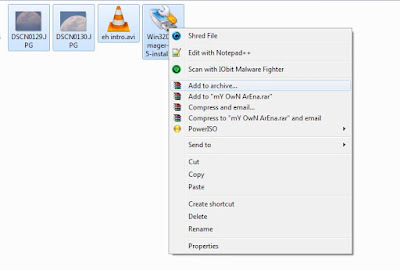 Whenever you want to watch the protected video, double click on the executable file and then enter the password. Then....click on the "OK" button. That's it. 1. 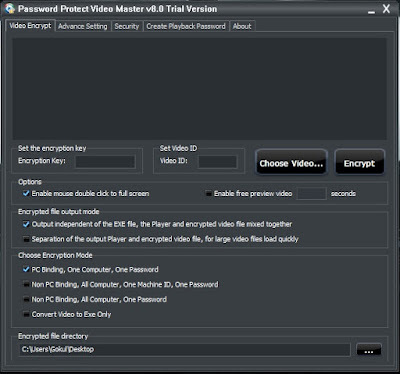 Download Password Protect Video Master. 4. Enter a encryption key (password) and video id. 5. Select the video you want to protect. (click on "choose video" button). 6. Set the values as in the image below or set them according to your needs. 7. 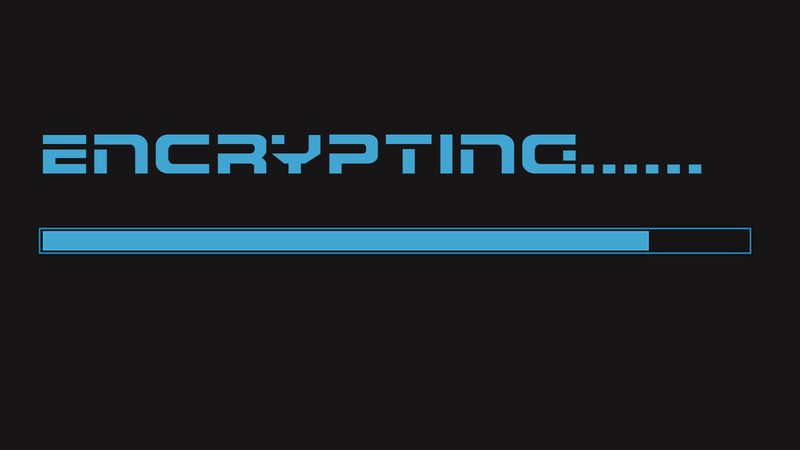 Click on "Encrypt" button. Wait for some time, until it completes. 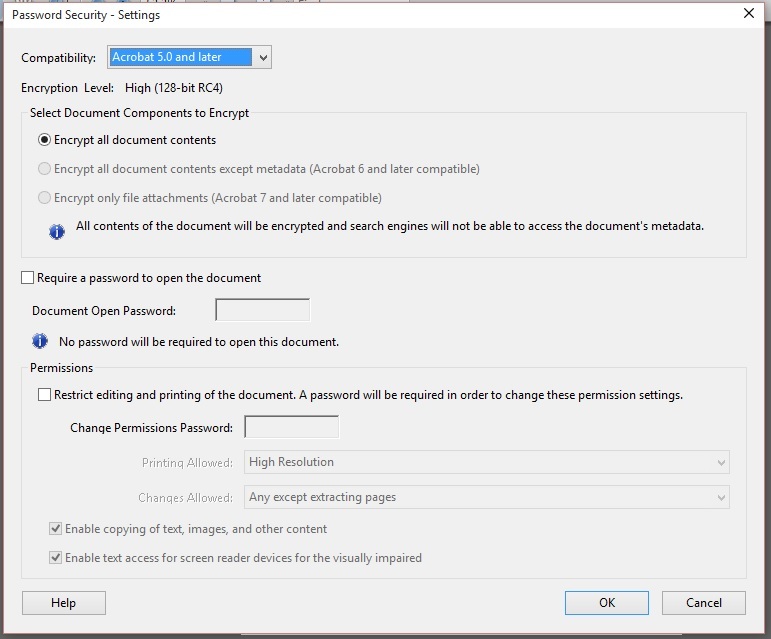 If you want to watch the encrypted video, double click on the encrypted video file, and then enter the Encryption key. 1. 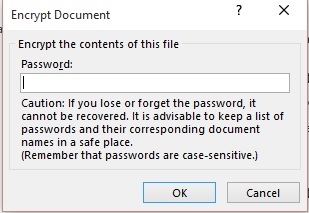 Open the document you want to put a password on, then go to File > Save As. 4. Enter the password into the field and then click on the "OK" button. Enter the password and then click on the "OK" button. 4. Type a password in the box and then click on the "OK" button. 5. Re-enter the password and click on "OK". 6. Save the protected file. 1. 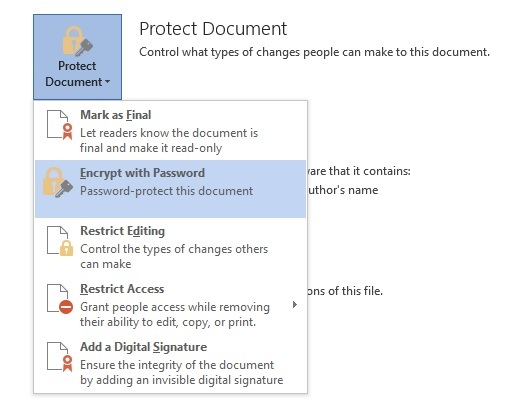 Open the document you want to protect using Adobe Acrobat Pro. 4. Select "Require a password to open the document" and then enter a password. 5. 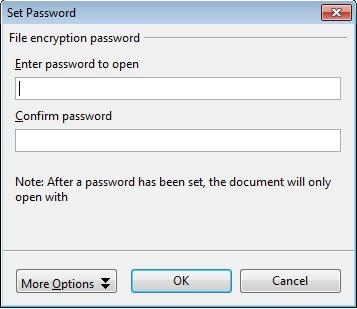 Click on the "OK" button and then confirm the "Document Open Password". 6. Go to File > Save. PrimoPDF, Weeny Free PDF Cutter and Foxit PhantomPDF are the best alternatives to Adobe Acrobat Pro..
5. 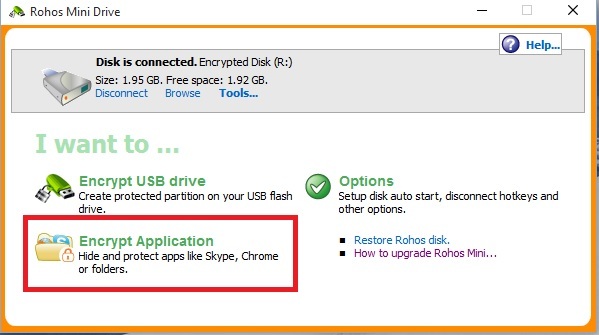 If you want to change the USB device, use the change option and then enter the password. 6. After re-entering the password in the second box, click on "create disk" button. 10. 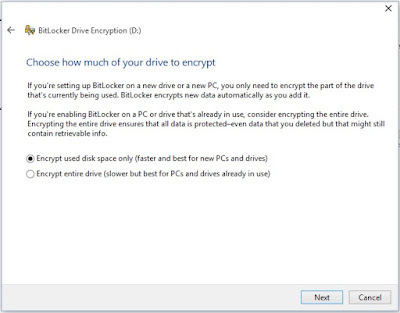 Open the "Encrypted Disk"..... then move/copy the files you want to protect to the "Encrypted Disk". 1. 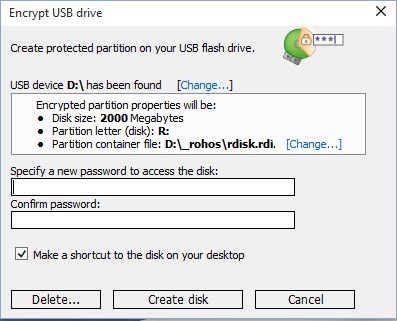 Plug in the USB drive to a computer... then open it. 4. Now you can open, export, delete or rename the files. 4. 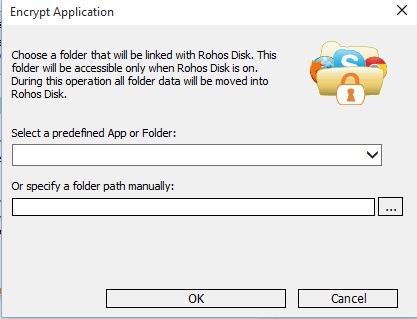 Select the app you want to encrypt from the drop down menu or you can specify a folder path manually. Now you can remove the USB drive. Insert the USB drive, and then enter the password. The folder or application will appear. 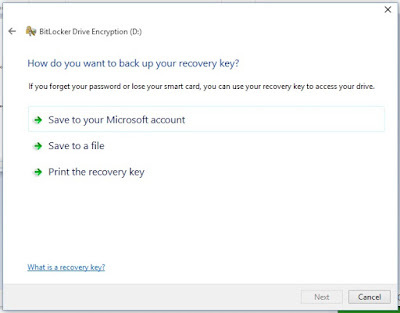 To delete the encrypted disk, go to Tools > Delete disk. To enlarge disk space, go to Tools > Enlarge (you have to upgrade your license to use this feature). To run a disk check on the encrypted partition, go to Tools > Check disk. To change the password, go to Tools > Change password. To create a password reset file, go to Tools > Create Password Reset File. 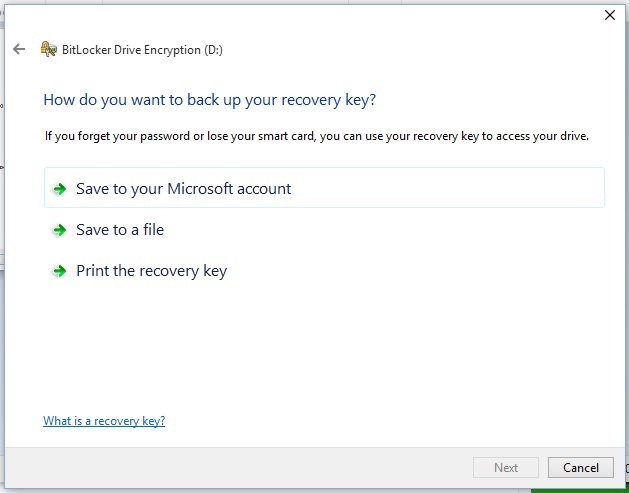 Then enter the current password and click on "Create backup". 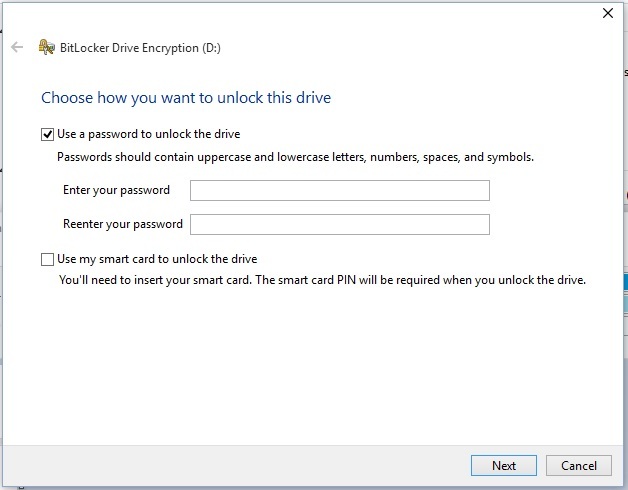 Did you know, your windows computer has a built-in tool to protect any drive, including external, internal, flash drive with a password. 5. 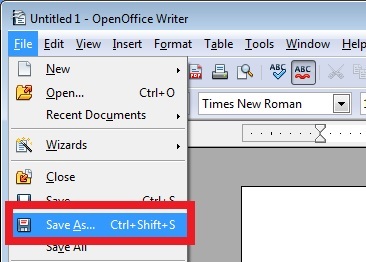 Click on "Save to a file" and then save it. 7. Choose the suitable option and click on the "Next" button. Then click on "Start Encrypting". 8. Wait for some time, until it completes. 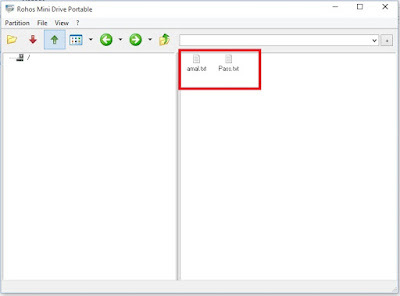 Now you can remove the USB drive from your computer. 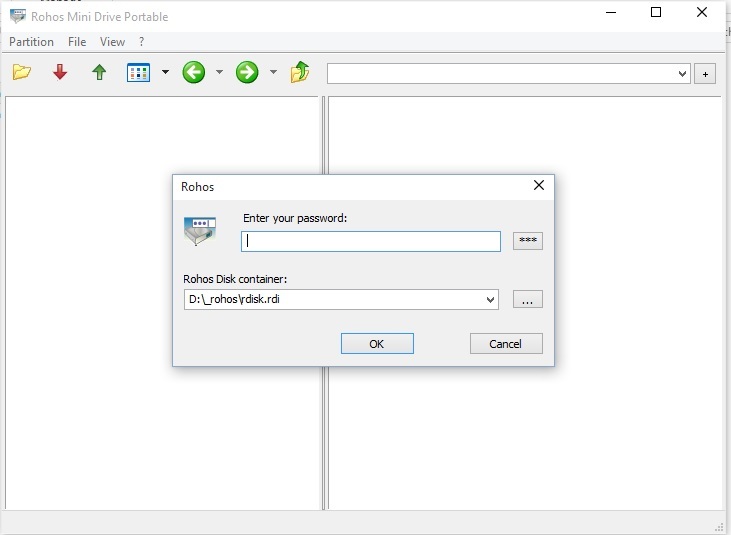 If you want to access the encrypted files, double click on the removal disk and then enter the password. 1. 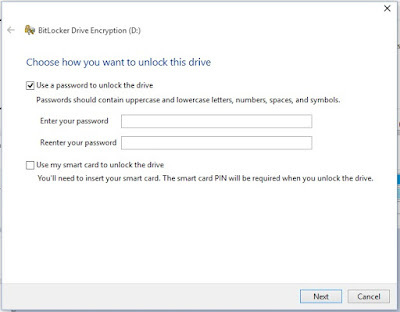 Unlock the drive using the password. 2. 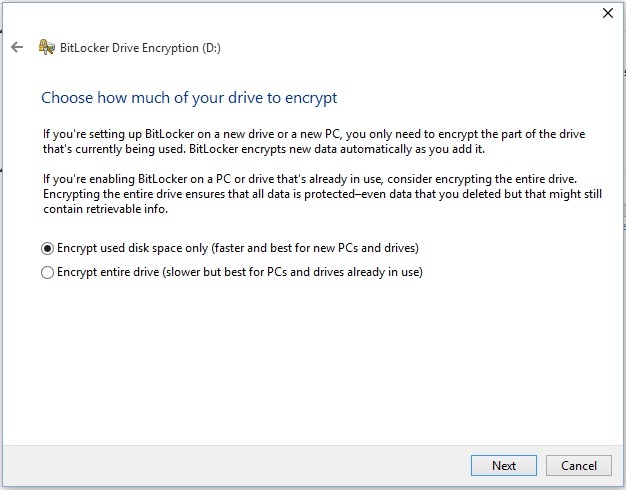 Right click on it....then select "Manage BitLocker" > Turn off BitLocker. 3. Wait for some time, until it completes. 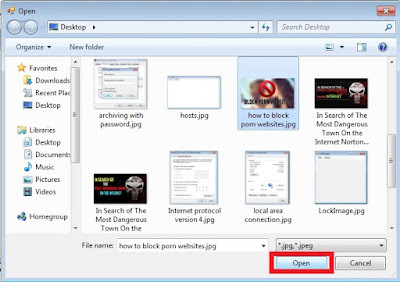 If you don't want to install third party software on your computer, you can use File Lock web app to encrypt and password protect your files. 2. Click on the "Choose File" button and then select the files you want protect, then click on "Open" button. 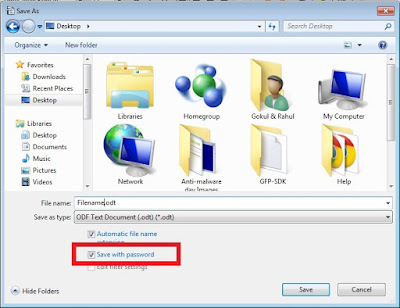 If you want to set passwords for each files, type them in the password fields.... and then click on"All" button to encrypt the files. These files have something in common, did you notice it? Yes, the .enc extension. 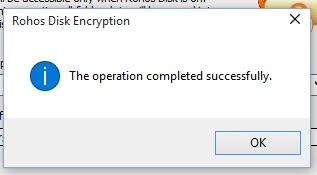 That means, the files are encrypted. Note: You can't get the original file by manually changing the extension to the original one. 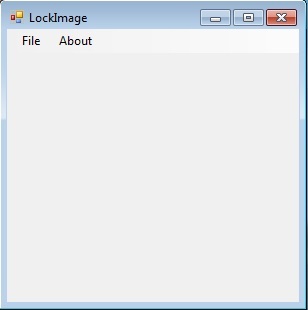 For example, file lock.jpg.enc to file lock.jpg..
1. Go to the File Lock home page. 3. Enter the passwords in the boxes and then click on "All" to decrypt them. 2. Install it on your USB drive. 4. Click on the "Yes" button.... and then enter the password. 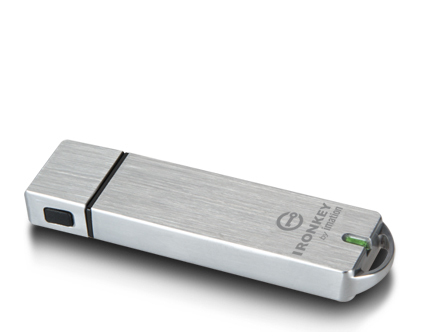 Your USB drive should now be protected. 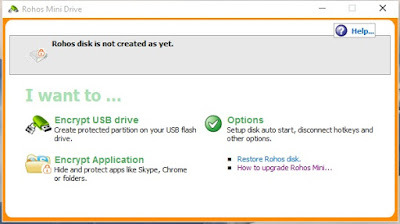 Now you can remove the flash drive from your computer. 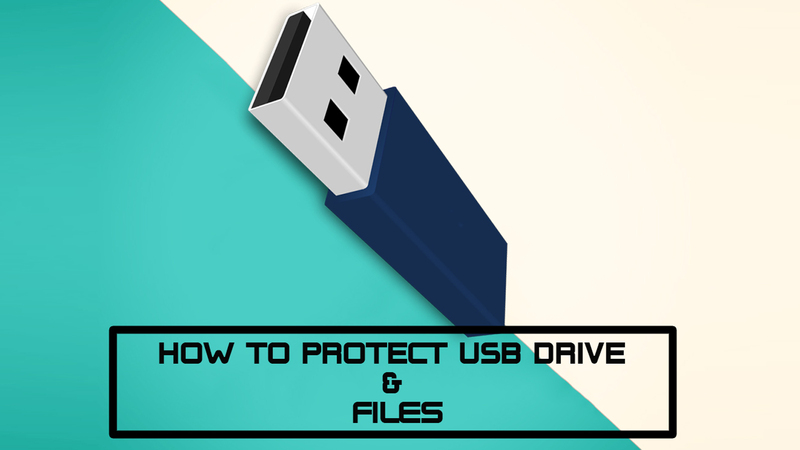 Whenever you want to access the protected files, insert the USB drive and then execute the "USB secure" program. Then enter the password and click on"OK". 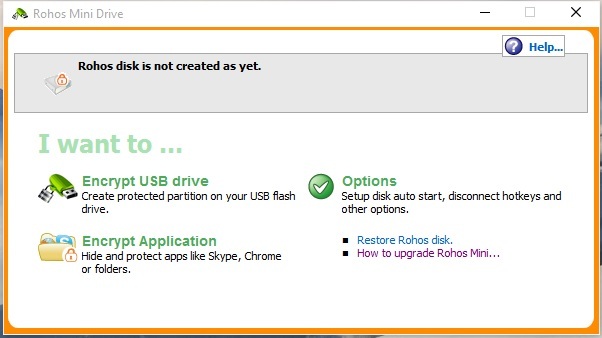 Then select "Unlock my USB drive". That's it. 1. 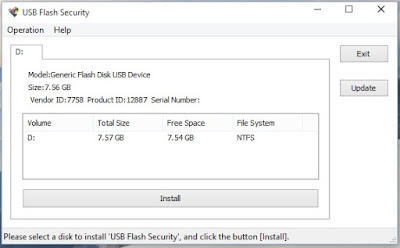 Download USB Flash Security and then install it on your computer. 3. Click on the "Install" button. A dialog box will pop up, click "OK". Now you can remove your USB drive. 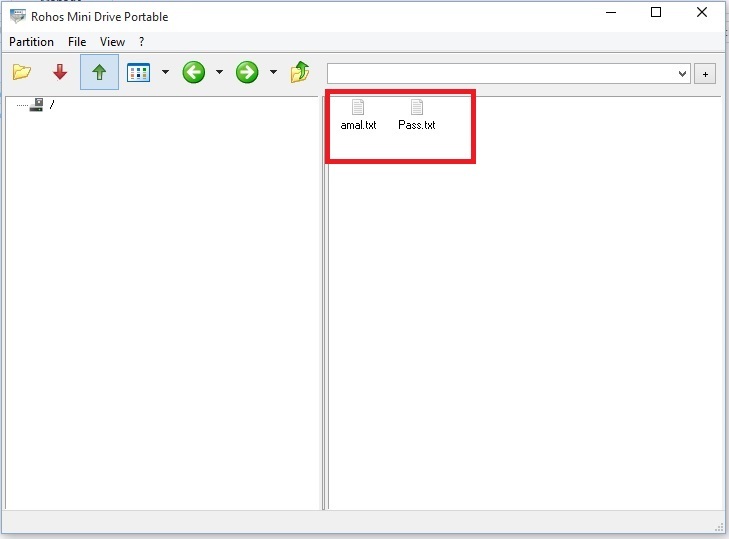 To access the files, plug in the drive and then enter the password. 1. Connect the flash drive to the computer. 2. Run "USB flash security" program. 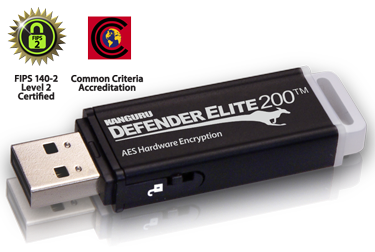 Let's move onto the next technique..
All Kanguru Defender Secure USB flash drives are password protected with AES 256-bit hardware encryption, integrated onboard anti-virus protection and are remote management ready. 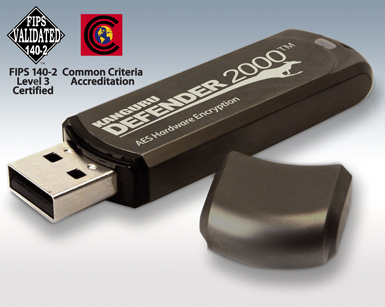 According to the company, the Defender flash drives are also fully protected from "badUSB". 1. SuperSpeed USB 3.0 (Max Read: 230MB/sec; Max Write: 85MB/sec). 2. Physical Write Protect Switch. 3. Central / Remote Management Ready. 4. Windows & Mac Compatible. 8. Available Capacities 8GB, 16GB, 32GB, 64GB, 128GB. 11. Simple and Easy to Use. 8. 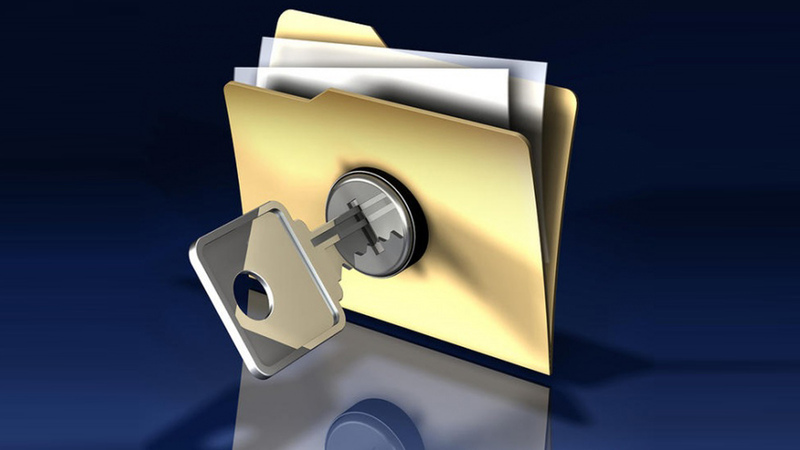 Complies with Industry Security Standards such as HIPAA, Sarbanes Oxley, GLBA, etc. 9. Available Capacities: 4GB, 8GB, 16GB, 32GB, 64GB, 128GB. 13. Simple and Easy to Use. 1. FIPS 140-2 Certified, Level 3. 3. Simple and Easy to Use. 4. Windows, Mac and Linux Compatible. 10. Citrix Ready - XenDesktop Compatible. I hope you liked reading the article. If you find this article worthy, feel free to share this to friends and followers.